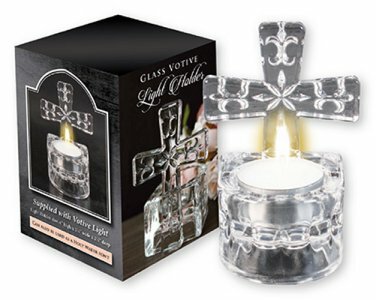 DIVINE CHRISTIAN GIFTS - Glass Cross Tea Light Holder & Water Font. Glass Cross Tea Light Holder & Water Font. To use as a holy water font the tea lights must be removed.